To address the increasing number of fakes, The Design and Artists Copyright Society (DACS) has launched a new digital ‘hallmark’ for editioned bronzes. An example of the new DACS Bronzechain hallmark sytem. Sculpture using the new Bronzechain technology, licensed by DACS to approved art foundries, will be stamped with a hallmark in the wax before casting. A digital certificate of authenticity will be recorded by DACS and stored using cryptography by art verification service Verisart. Two years in the making, Bronzechain was developed following a conversation between DACS and the British sculptor Maurice Blik, who expressed concern around the number of fake modern bronzes on the market. 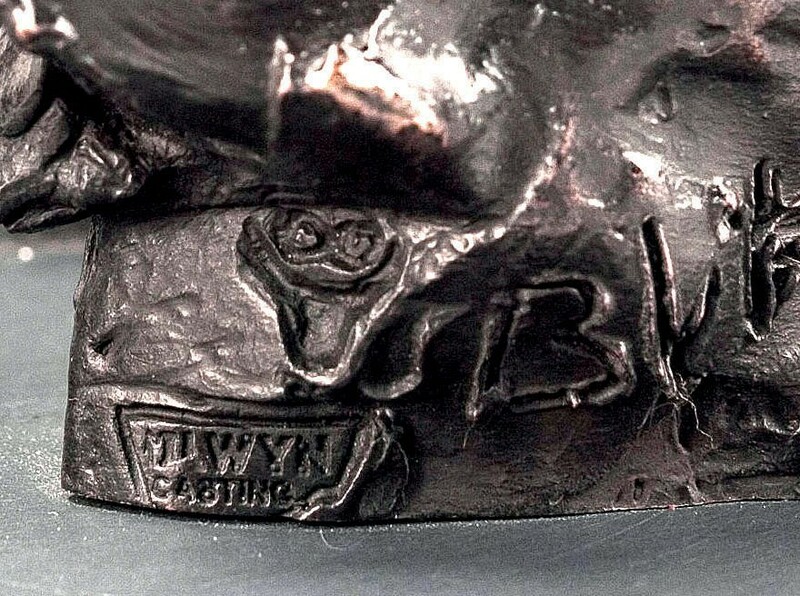 Blik’s works – on show at Bowman Sculpture in London until May 4 – were the first to be hallmarked. DACS says the cost for using the technology will be £5 per work.